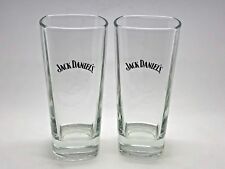 2 x Jack Daniels Highball Tall Glass. Bar Gift JD. New in box. 1 X JACK DANIELS LYNCHBURG LEMONADE COCKTAIL KIT. 1 X DRINKING TIN. 1 X BOTTLE OF SYRUP - See Picture. 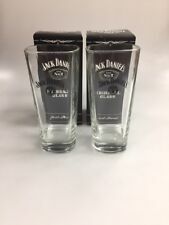 2 X JACK DANIELS TALL GLASSES (HI-BALL). GLASSES STAND 15 CM TALL AND 7 CM ACROSS THE TOP. JACK DANIELS RUBBER BAR RUNNER. IDEAL HOME BAR , MAN CAVE. OR COLLECTOR. Condition is New. Dispatched with Royal Mail 2nd Class. 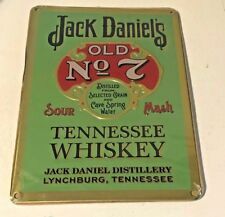 A fantastic looking wooden framed Jack Daniels mirror. Measures 32 x 22cm. These are professionally made mirrors and not cheap vinyl stickers. Jack Daniels Rubber Bar Runners Drip Tray 53cm X 9cm. have been used in a bar but cleaned and in very good condition rear is a little marked from being on a bar a few light marks but good item please check out my other listings for more Condition is Used. Dispatched with Royal Mail 2nd Class. No wire is supplied . A unique replica back lit wall lantern. The lantern is made from die cast aluminium with 6 glass panels displaying high resolution graphics and is suitable for indoor or outdoor use. JACK DANIELS TALL GLASS AND 6oz STAINLESS STEEL HINGED LID HIP FLASK. 2 X JACK DANIELS TENNESSEE HONEY ICE MOULDS - BNIB WHISKEY CUBE PUB BAR WHISKY. Condition is New. Dispatched with Royal Mail 2nd Class. JACK DANIELS TENNESSEE FIRE ICE SHOT GLASS MOULD - BNIB WHISKEY CUBE PUB BAR. Condition is New. Dispatched with Royal Mail 2nd Class. This tough and rubbery bar mat not only improve the aesthetics of your bar, but will also absorb any spills and condensation marks that occur when serving drinks. The high quality rubber base ensures this bar runner stays in place throughout the evening, even if your drink doesn't!